As I wrote in a previous post, cosmetic leg lengthening is a very costly procedure. While you can get loans to cover it, you also need to put your life on hold and possibly quit your job (make sure to apply for the loans before you quit your job!). NOTE: Unless you really trust your surgeon, don't go for a cheaper one just to save money. Unfortunately, there are doctors who cut corners or don't cover things like physical therapy (extremely important after the surgery!) just to charge a lower price. CLL is one area in which you do get what you pay for. That said, there are way of minimizing the expenses associated with CLL, and not quitting your job. In the US, there's a law called Family and Medical Leave Act that protects your job while you're on medical leave. While cosmetic procedures generally don't qualify, check with your surgeon's office if there are other treatments you can get during the recovery, for example back pain that can be helped by PT. Make sure you do everything by the book, and note that this is an unpaid leave - it will only protect your job for when you come back (up to three months) - but you may still receive benefits such as insurance and stock units. Once you have your legs broken, you'll need a lot of help - at the very least during the first two weeks post-op. In the US, The Paley institute estimates this to about $4000 for a home aide for two weeks. If you have local friends to stay with, consider yourself very lucky. Otherwise, look into a long-term stay rental - be it a hotel, or an Airbnb. Try to find an accessible one - with an accessible shower and entrance. Wheelchairs don't roll easily over carpet, and bars to grab on in the showers really help. A swimming pool is also great - you'll be able to walk in it before your legs can fully weight-bear. Many patients who undergo lengthening at the Paley Institute stay at the Homewood Suites hotel. Keep in mind that prices vary a lot between in-season (over $200, even with the "Paley discount") and out of season (~$80) as of 2018. Also, accessible rooms at Homewood are few and tend to be reserved well in advance. Aside from RemoteOK, there are 25+ other sites for finding remote work - check them out. You might be surprised at how much of the auxiliary LL costs your health insurance can cover - medication, additional PT etc. Check with your provider and with your case manager from your surgeon's office. This varies a lot by insurer and geography, so I can't give specific advice. The even larger question, is how do you reduce the cost of living while undergoing CLL? One answer is to live in an area with a lower cost of living, during CLL if your doctor is there, or during the consolidation phase. 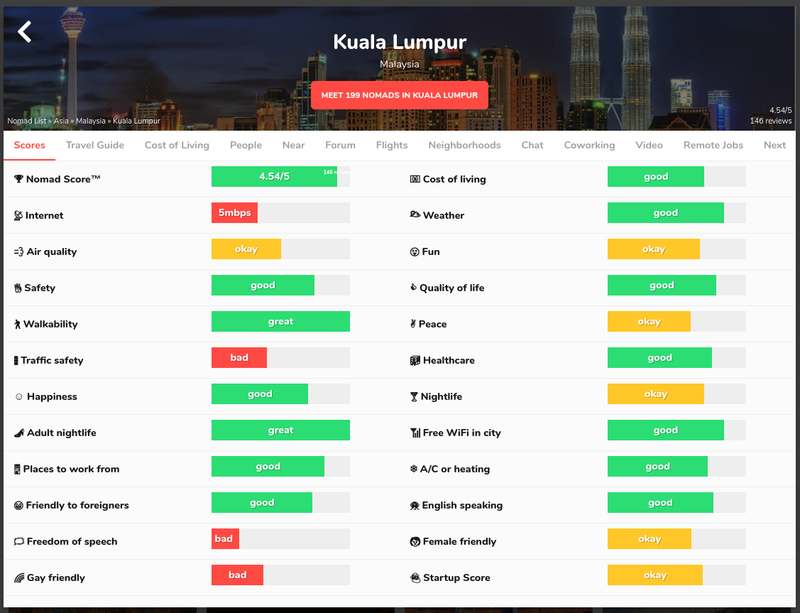 NomadList has a lot details on many cities in the world - cost of living, healthcare, walkability, quality of life, safety etc. Moving might be a big "move" so to speak, but CLL is an even bigger one, and when people make a major life change, they tend to be more open to making other changes following it. If you quit your job to do CLL, moving to a place with a low cost of living and taking remote jobs can be reasonable options to consider. Got any other ideas for reducing CLL costs? Leave a comment below!